R&B artist Jarell Perry's new release ‘Braindead’ is an ode to that moment in a relationship when the words just aren't coming out right. 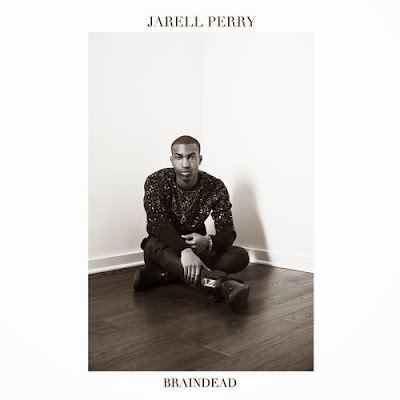 ‘Braindead’ is the second single from Perry's forthcoming ‘White’ EP, the follow-up single to his club banging number ‘Eleven’ featuring Chuck Inglish. The EP is ready for release in January 2014 and will see Jarell Perry's breathtaking vocals used in a versatile way - showing off his voice like no other. Perry's currently on tour and will hit up New York on December 10 and San Francisco on December 30 - so be sure to look out for him in your cities. Switching it up for us this time around unlike the song above where he gives us one of his own original pieces, he presents us with a cover of one of Lupe Fiasco's songs ‘Paris, Tokyo’ with a soulful remake for his fans as a gift. Perry's cover is available for free download, and streaming - which can be heard below. The indie-R&B star is ready to break boundaries with his new ‘White’ EP, get ready for the journey he's about to take us on.